With the newest of the Missabe ore cars still in service being 56 years old (with most over 60), it continues to amaze me to see them in daily service. This morning glint shot at Proctor a few weeks ago shows some of the layers of history painted on the side of the cars. With over 1,100 new cars on the property I wouldn’t expect the DM&IR veterans to last much more than a handful of years. But then again who thought they would last this long! This flashback takes us to 1995, a year when natural (red) ore from the Auburn Pit near Virginia was rolling all-rail to U. S. Steel’s Gary Works before the mine put in a dryer that removed excess moisture from the ore and allowed it to move through Dock 1 in Two Harbors. I didn’t get to shoot many of these solid trains, in fact I think just one or two on the Missabe headed for Two Harbors and one on the WC running all-rail to Chicago. This pleasant September day Dan Mackey and I followed this WC train south out of Superior. 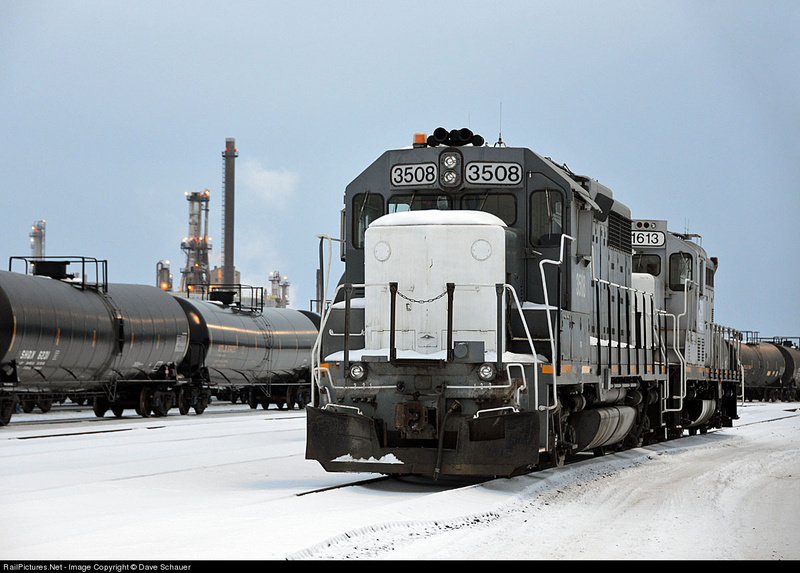 A pair of SD45s were the power, the leader being a recently acquired Santa Fe burner. 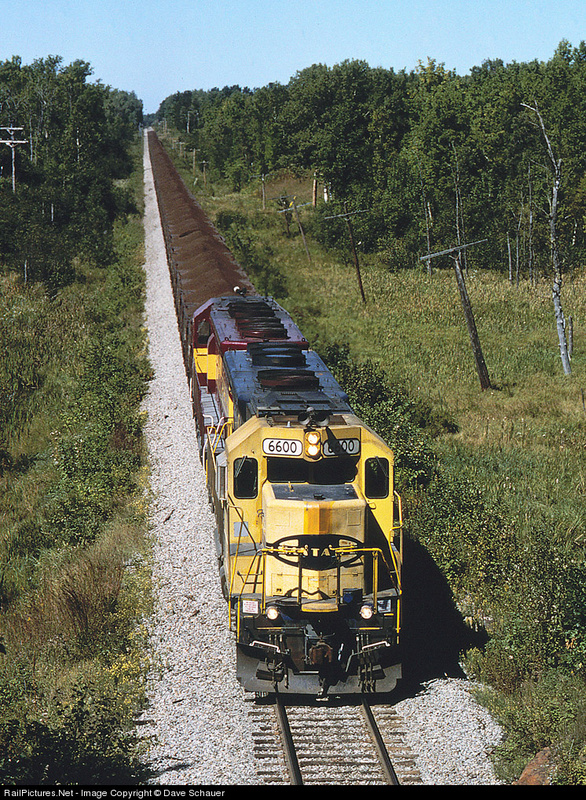 Ah, SD45s pulling low side regulars heaped with red ore – hard to beat that combination! 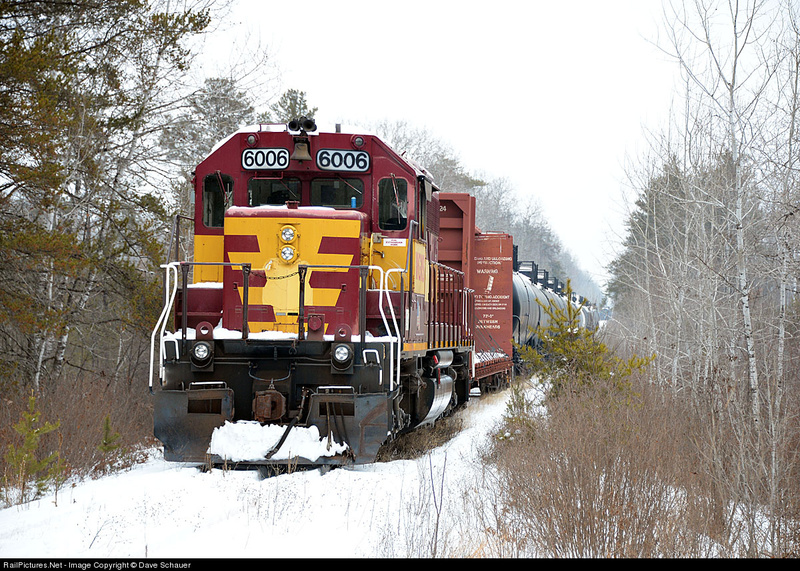 Heavy snow started here in the Ports around 1300 and I caught Q118 rolling through the wind and snow at Steelton. 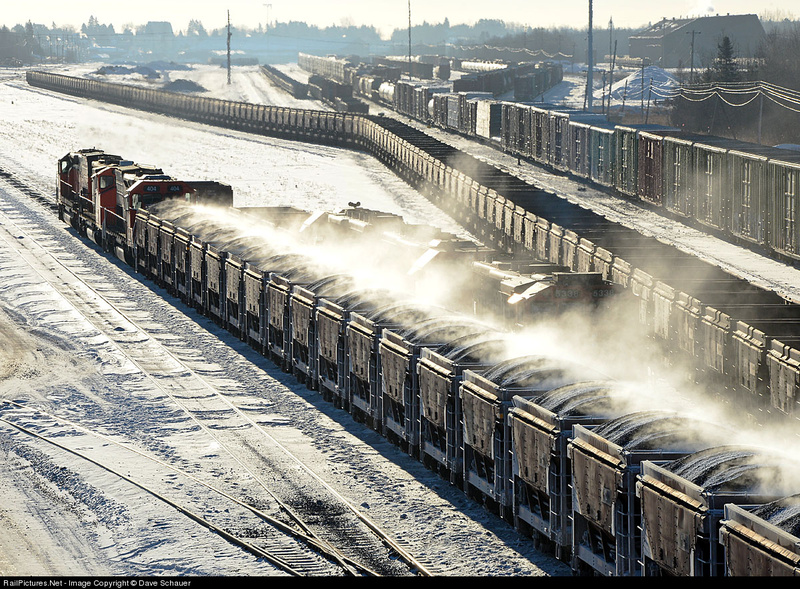 One regret I had was never shooting the Algoma Central. The best I could do was manage a shot or two of former Algoma units roaming the WC still in their original paint. Such was the case with 6006 in 1995 as it led an all-rail ore empty into Steelton and met a Burdakin Blue Peg SD40. The Arrowhead Civic Club excursion 1983 version is shown at Iron River ready to head back to Duluth. 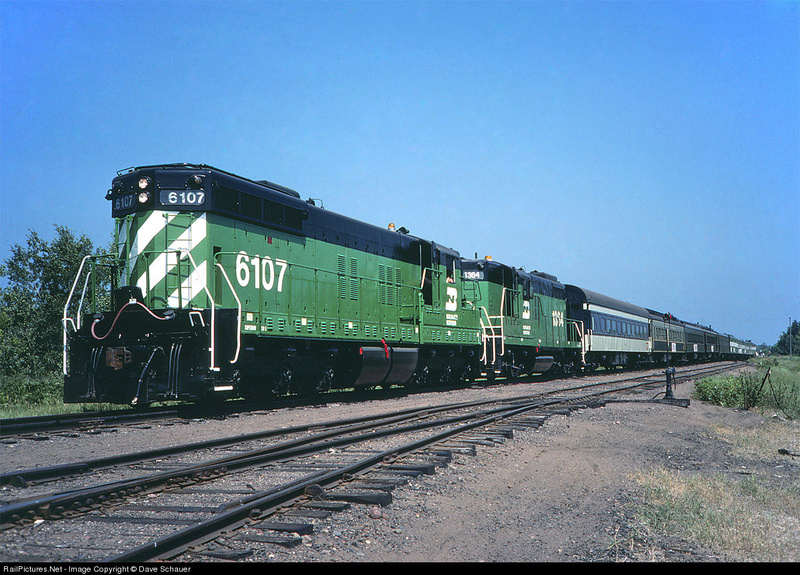 This was the only time I saw a six-axle unit on this line (the AIME trip in the 1970s had the bicentennial SDP40). Emergency workers responded this morning to a car-train crash west of Cotton. Emergency workers responded this morning to a car-train crash in Kelsey Township, west of Cotton. Few details are available, but St. Louis County Undersheriff Dave Phillips said he believes there was one person in the car. “It sounds like the car drove into the side of the train,” which may have been stopped, he said. Phillips didn’t immediately know the condition of the car’s driver. “I know air medical was on the scene; I don’t know if anyone was transported,” he said. The crash happened on Arkola Road near County Highway 7. On the way home from Rice Lake today I drove past Calumet at dusk and happened to see two of the three units they have there in an easy spot to photograph just off Hill Avenue. The bright lights of the yard made shooting easy and it was nice to see the GP35 back from its summer gig at Largo for Laurentian Aggregates. Their "new" geep was by the refinery in its normal spot. Wisconsin Great Northern's "Big Engine"
With the weather expecting to hold today and having some free time I loaded up Gus and took him to Rice Lake for the model train show (very nice, I recommend it). The trip was uneventful but on the way back I hunted down Greg's big road engine ex-WC SD40-2 6006 (former Algoma Central). Wisconsin Great Northern uses this unit to move stored cars to and from the CN connection at Hayward Junction. Looked like they had pulled some covered hoppers recently and they also had a bunch of stored center beam flats (IC) and some tank cars as seen here. Not something you see every day in the back woods of Indianhead Country. 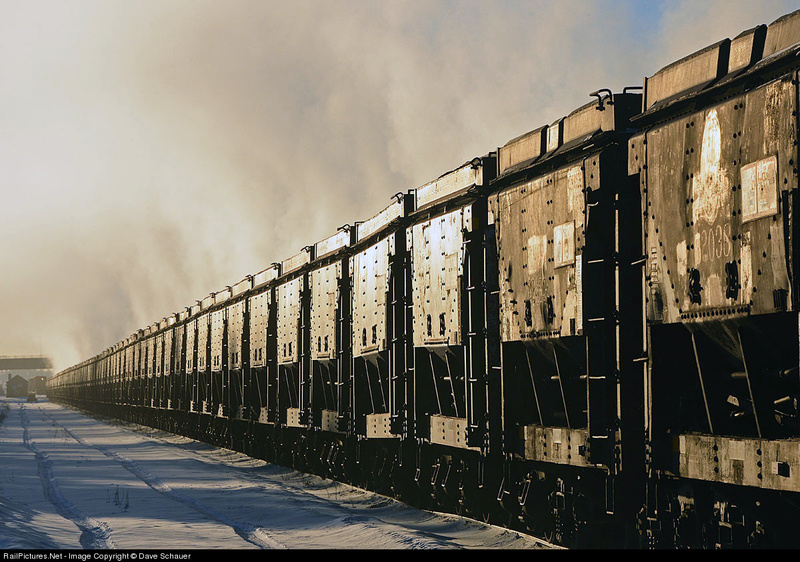 Read more about Wisconsin Great Northern's "Big Engine"
Bonus shot of an arriving pellet train with steam from the pellets drifting over a road set that would get on the empties after the pellet loader cleared. For now the older ore cars continue to dominate the Missabe Sub side of the former DM&IR. 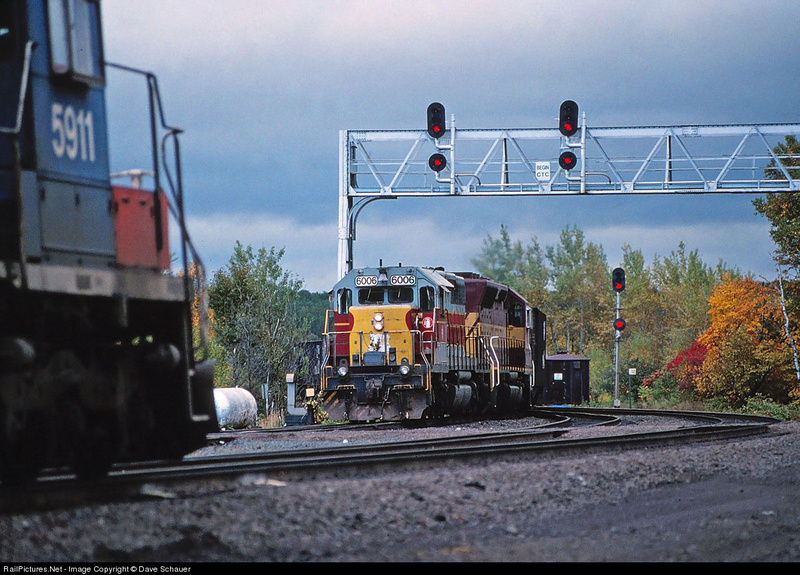 I never did much shooting in Hibbing proper but did snag this shot (print, one of my first) of the freight house and BN coal loads staged for delivery to the PUC plant on the right. Bob Anderson had quite a few shots I bet.